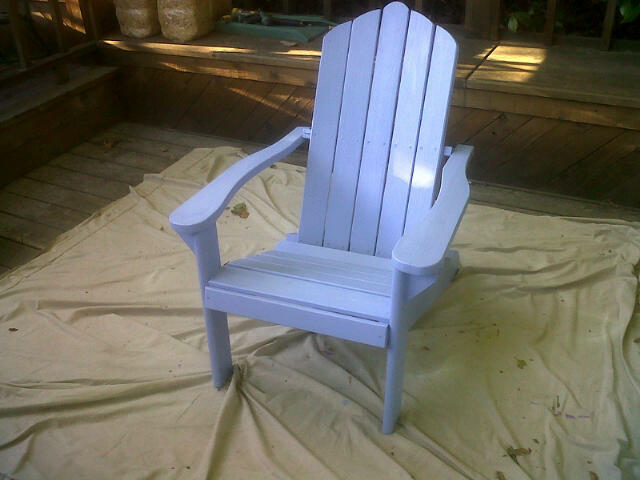 Chair #2 - French Country Blue. This color choice is for KB; it's as close to Cornflower Blue as I could find. I hope you will enjoy relaxing in your chair come next summer! I realized this evening, as I was painting chair #2 and looking at chairs #3 and 4, (primed and ready for paint) my timing may be off. It could be that by the time I finish painting all 4 chairs, and then go back for the touching up of missed spots, it could very well be mid to late October and I will have missed the season. But then again, I've been told fall is stunning in Southern Oregon.